If you want to become a Speedway racer, or you have noticed that your children are interested in the sport, it is quite easy to get started (or let the little ones get to it). Our best advice would be to start the career as early as possible. Do note that it will take some initial investments, though. But, in the end, if you manage to become one of the big names in the industry, money will be pouring into your pockets by itself. Yes, there is a lot of money involved in Speedway, especially since thousands of spectators are betting money on the different drivers, and sponsors are very happy to pay for the extra publicity that comes with signing a new rider. 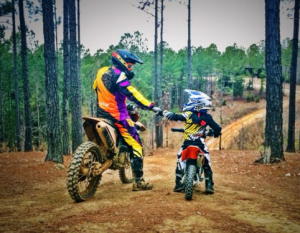 By law, children as young as 5 are allowed to start practicing Motorcycle speedway. This is because the race itself is always supervised and takes place in a closed-off arena. Also, Motorcycle speedway consists of oval-shaped dirt tracks – the dirt usually takes a big part of the fall, which means that serious injuries are rare, and deadly injuries are non-existent. The earlier you allow your child to start practicing Speedway, the higher is the probability that they will reach miraculous heights later on in their career. Children from the age of 5 can compete, but they have to be at least 10 to compete in the ASCF Junior Sedan events. 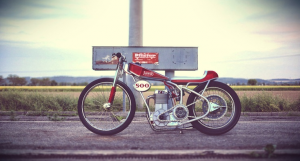 Since Motorcycle speedway bikes are fully customisable, starting out with this sport is very cost-effective. Buy a bike for your son or daughter, and they will be able to use it for up to 10 years at a time, until reaching senior levels. The bikes themselves are not extremely expensive, either. You can find used bikes for as low as 2000 dollars, whereas a new, top-notch machine will set you back no more than 6000 dollars. In order to become a great Speedway racer, it is all about getting to know your bike. Learn it inside out, feel it, understand it. If your child will use the same bike for six-seven years in a row, they will know exactly how it reacts to each and every little turn of the wheel. Motorcycle speedway is among the best mental workouts out there. You learn to evaluate, react and calculate at high speeds.